News - SK Hynix Announces SSDs with 72-Layer 3D NAND ICs, Own Controllers | Softoolstore - Самые интересные новости, обзоры технологий и софта. 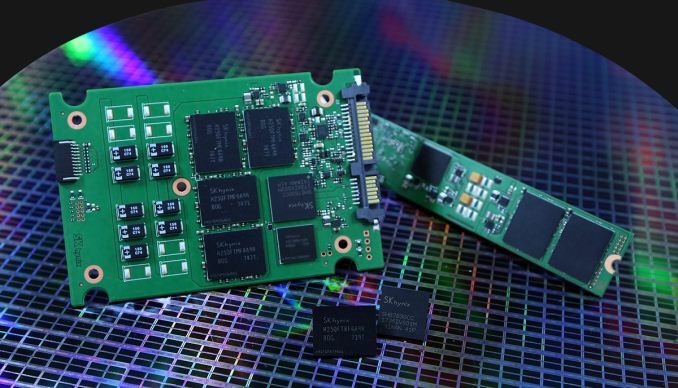 SK Hynix this week has said it has completed development of its enterprise-grade SSDs based on its 512 Gb 72-layer 3D TLC NAND chips as well as its own controllers and firmware. The drives will be available with SATA and PCIe interfaces and will target various applications. 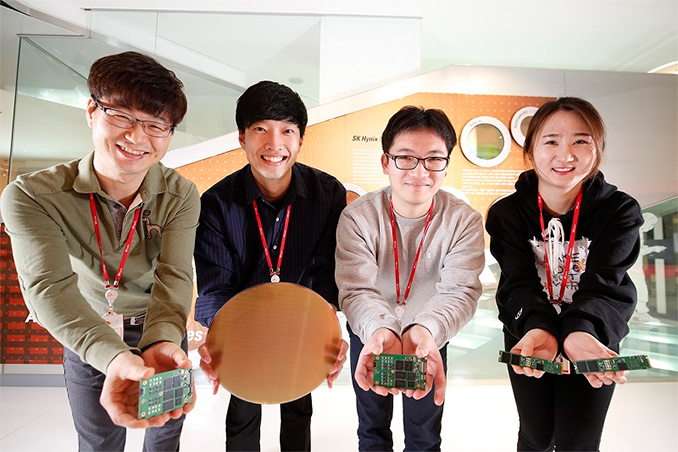 Select clients of SK Hynix have already received samples of its eSSDs. SK Hynix’s SATA SSDs are based on the company’s 72-layer 3D NAND 512 Gb chips, and are designed to offer up to 4 TB of raw NAND flash memory. These drives are rated to support sequential read and write speeds of up to 560 MB/s and 515 MB/s respectively. When it comes to random performance, these drives are capable of up to 98K random read IOPS and up to 32K random write IOPS (but SK Hynix does not disclose queue depth and other factors). 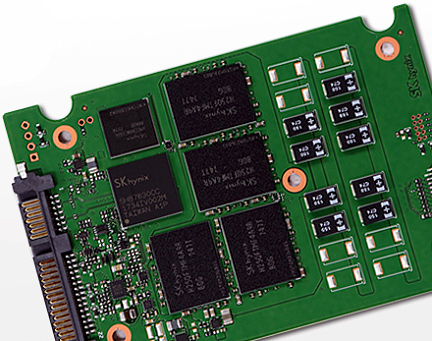 As for SK Hynix’s PCIe-based drives, they come in an M.2 form-factor and offer capacities of 1 TB or higher. The manufacturer declares sequential read performance of up to 2.7 GB/s, sequential write performance of up to 1.1 GB/s, random read performance of up to 230K IOPS as well as random write performance of up to 35K IOPS. SK Hynix does not disclose feature set, but based on their images we can expect them to offer power loss protection. SK Hynix began production of 72-layer 3D NAND (3D-V4) 512 Gb chips, we believe, in the fourth quarter of 2017, but did not make any formal announcements on the matter. The new chips feature the highest bit density that SK Hynix can offer today and they also offer higher performance compared to predecessors because of a 13.5 MB block size, a reduced tPROG page programming time, and a 667-800 MT/s Toggle 2.0 interface (the manufacturer does not disclose exact data rate of its interface). SK Hynix does not disclose any details about its datacenter-grade SSD controllers, but it is likely that they were developed by engineers from LAMD, a company that SK Hynix acquired back in 2012. Keeping in mind that we are dealing with 3D TLC NAND-based SSDs, it is highly likely that the controllers support an ECC technology based on an LDPC algorithm. SK Hynix did not disclose when it expects to ship its enterprise drives to customers, but if its product catalogue is to be believed, the high-capacity SATA drives will be available commercially in the third quarter. Meanwhile, since we are dealing with enterprise SSDs, existing clients of SK Hynix will adopt them when they are satisfied with their real-world performance, reliability, endurance and other factors, so they may start using them ahead of Q3, or later.